Nextdoor recommendations play a powerful role in consumers finding a local business. Nextdoor recommendations are powerful because they’re so authentic and verified neighbors are doing the recommending, unlike a public review site which is easier to cheat. If someone doesn’t know a person to get a personal recommendation for a specific business industry, many turn to their neighbors. If you’re not already on Nextdoor, get on there and scroll your neighborhood feed. Every day there are neighbors asking for recommendations. Hopefully, you’re familiar with Nextdoor and have seen the power of recommendations that happen every day on it. Nextdoor is a great community board that connects people in the local community. 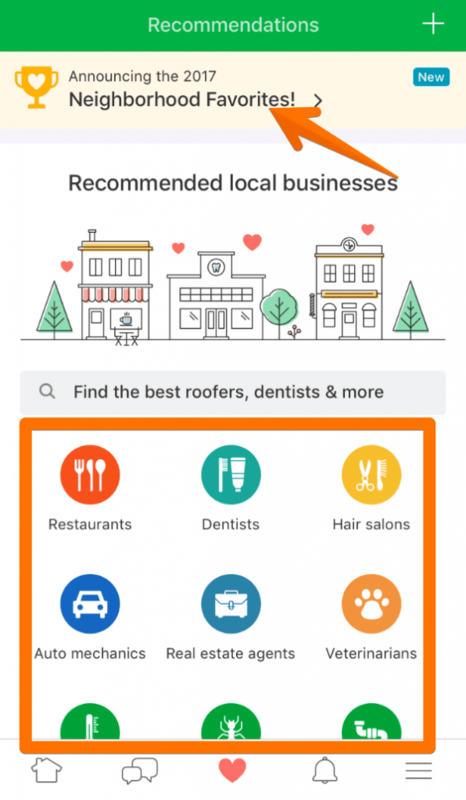 If you own a business, Nextdoor can also connect your business with neighbors with recommendations. If you haven’t set up your Nextdoor business page then you need to go do that first. The only problem with Nextdoor is that you can’t actively promote your business on it. They don’t allow you to advertise (in most cases) and you can’t post as a business but rather only respond to posts. That would remove much of the authenticity of Nextdoor recommendations though. Would you trust a business on Nextdoor saying they’d help you out? Probably not as much as a neighbor recommending a business. There are many businesses but people turn to Nextdoor to get a personal recommendation. 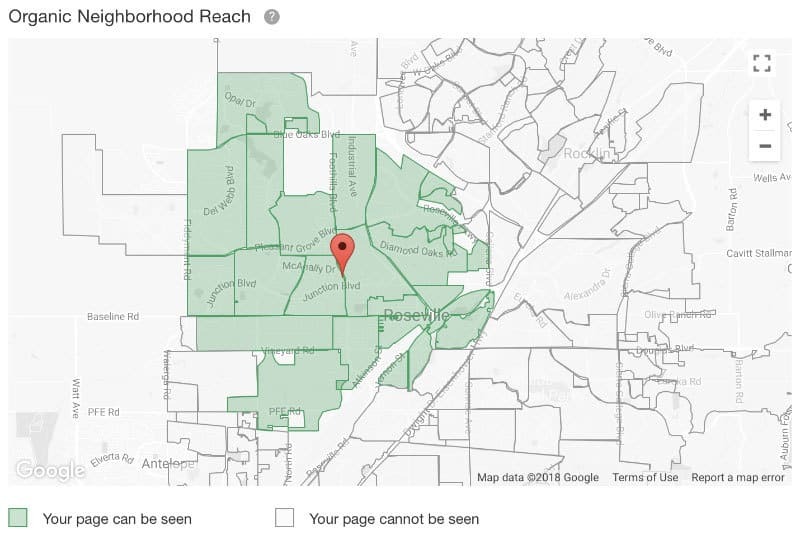 So, how does your business reach local neighbors on Nextdoor? It all comes down to recommendations. Nextdoor recommendations are the most important part of your business page because it can’t be seen without recommendations. Not only will your business not be seen but it will never rise to the top of the Nextdoor recommendations tab. Your business also won’t ever be included in the yearly neighborhood favorite list that Nextdoor publishes yearly. The Nextdoor recommendations tab has several major categories with top businesses recommended in each. If your business doesn’t fit into one of the major categories then you won’t get as much visibility. It’s just the way Nextdoor recommendations work. There is a search option though so people can search web designer, electrician, etc. Lesser searched businesses will admittedly get much less visibility and business from Nextdoor though. Exprance is listed in web design in my local area and is ranked number 1 (among no one else). We don’t get any business from Nextdoor unless we’re directly recommended which doesn’t happen too often. Not many people are asking for web designers in my area. Below the major category list is a top business section people can swipe through. 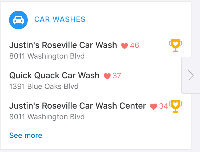 Each category has the top 3 or so businesses listed by recommendation. There are several places top recommended businesses are listed on Nextdoor. If you can get into one of the categories that are frequented a lot then there’s a lot of business to be had. Recommendations on Nextdoor are some of the most authentic online and people trust them. The few recommendations I’ve received on Nextdoor turned into a client with little to no price shopping and no difficulties. People trust Nextdoor a lot. Because Nextdoor recommendations happen in such an authentic way and everyone who is a member of Nextdoor is thoroughly verified, it’s trusted more. The recommendations are organic and they’re authentic. More so than anywhere online which is why Nextdoor recommendations are so important. Nextdoor recommendations aren’t going to be equally useful for every type of business. The type of industry your business is in matters. The success of Nextdoor is highly dependent on how many people are likely searching for your type of business. Unfortunately, that information isn’t readily available from Nextdoor. For Exprance, a digital marketing agency, Nextdoor isn’t going to be nearly as powerful as for a local restaurant. Nextdoor only has so many major categories on their business recommendations page. If you don’t fit into one of those categories nicely then being seen is left up to search or having somebody ask for a recommendation in your industry. Outside the major Nextdoor business categories it’s left up to chance. This could change at any time though as Nextdoor builds more paid ways to promote businesses on the platform. For Exprance to be seen on Nextdoor it would require somebody asking about web design and having a recommendation for Exprance OR searching for web design. How do you tell if Nextdoor would benefit you? Head over to the Nextdoor app recommendations tab and see what type of businesses are listed on there. Check out the categories and make sure you swipe through the whole thing. If you fit into one of those categories there’s a good chance it will be helpful to you if you’re able to get a lot of recommendations. If you don’t fit into a category then put a limited amount of effort into getting more Nextdoor recommendations. Instead, just set up your business page on Nextdoor and watch for people asking for recommendations in your industry. Just because Nextdoor doesn’t fit your need doesn’t mean review sites won’t benefit you. Every industry has a review site that will benefit it the most. Most industries have several. You can’t go wrong with Google though, make sure your business is set up on Google My Business. Don’t stop there though, your online reputation matters and the right review sites help you build that reputation. As a business owner, you can create your Nextdoor business page. You can update your page and make sure people get your recommendation link. There’s not much more you can do than that. So how do Nextdoor business page recommendations work? Nextdoor recommendations for a business page happen in two ways. People in the neighborhood ask for recommendations for a certain type of business (electrician, plumber, web designer, etc.). Others in the neighborhood can recommend a business they like. People who recommend a business can link it to your business page so the person who asked for the recommendation can learn about and contact your business easier. If they don’t link the recommendation to the business then Nextdoor will ask if they’d like to link it if there is a business page for the recommended business. If there’s no business page for the recommended business then it’s up to people to do their homework to find the recommended business. Your neighbors can actively go to a business page and leave a recommendation or you can ask them. In either case, the neighbor will go to the business page recommendation section and write up their recommendation. This is the more proactive approach and will extend the reach your business has but it’s not going to have any immediate effects on your business. Once a recommendation is made then the only thing you can do as the business page owner is reply to that recommendation. Take that as an opportunity to thank them for the recommendation and then start looking for your next recommendation. The only way your business page can ever be seen is by getting your first recommendation. That won’t get you seen much though because your business will only be in the business directory listed among hundreds of other businesses. Just like on many review sites, one recommendation won’t get you seen much if other businesses have many recommendations. Your first recommendation means your business can (but probably won’t) be seen by all neighbors in the neighborhood and surrounding neighborhoods of the person who left the review. That means you’ll be seen in a small area and there’s little chance someone will actually dig into Nextdoor to uncover your business. You can see in the map that one recommendation will give you reach in a small grouping of neighborhoods around the recommender. It won’t extend to the entire city though. The more recommendations you get the further your reach will be. As you start to increase your number of reviews you’ll also start shooting up the list in any given business category. Members can only see recommendations and comments from members in their neighborhood or nearby neighborhoods. Because Nextdoor business pages can only be seen if you have recommendations, it’s important to get as many as you can. You may also want to explore other methods of promoting your business on Nextdoor such as commercial events. But what can you do to get your business seen more on Nextdoor with recommendations? This is probably what you came here to learn more about. Recommendations matter a lot on Nextdoor. If you’re not prepared to do the work to get more recommendations then don’t waste time on Nextdoor. The best way to get more Nextdoor recommendations and be seen more is to ask. Download the free Nextdoor review request email template to get more recommendations. You’ll have to ask for recommendations and you have to be there ready to join the conversation if someone recommends your business. You can answer the recommendations personally but don’t try to promote yourself too hard. Your effort should mostly go into getting more Nextdoor recommendations from previous people you’ve worked with. Don’t waste a single opportunity to get a new recommendation. I will cover some free ways to get recommendations but it does not scale well. If you are too busy then it may be best to use an online review management solution that will streamline the process and take the pressure off of you. Here are three ways you can get more reviews and effective ways to go about getting them. If you have emails from people you’ve worked with and a good relationship with them, this is the ideal way to get reviews. I couldn’t find anything saying you shouldn’t ask for recommendations in the Nextdoor terms of service. In fact, Nextdoor themselves wrote a blog post urging people to ask for recommendations. So, have a good email formulated and ask for a recommendation! Don’t be too pushy though. Make sure to never make them feel obligated to leave you a review or else you risk turning a good relationship bad (or at least pushing it in that direction). I put together a helpful email template to request more recommendations on Nextdoor. It’s direct, not too pushy, and brief which makes it more likely to get you a recommendation. You may not have email addresses for those you worked with though. If you’re an electrician then I doubt you’re collecting email addresses. If by phone and/or text is the way you typically communicate with those you work with, choose this. It’s easy, you can be brief and people are sure to read the message if you send a text. One caveat here on the text side though. Don’t just start sending texts. You may make someone angry if you didn’t get their permission. Some people’s phone plans don’t include text messages and they have to pay for them. It’s not common but you don’t want to risk it. If you call them, make the calls primary purpose about something else. Call them up to ask how their service was and if everything was to their satisfaction. Just say something quick and brief, not too fancy. Hi, I just wanted to check in to see how everything was. Were you satisfied with the service I provided? Excellent! If you wouldn’t mind, would you mind leaving me a recommendation on Nextdoor? Thanks so much! Of course, you’d personalize the conversation for yourself and with a greeting telling them who you are but this is a good start. If you’re not sure someone uses Nextdoor then they may not even know what Nextdoor is or how to leave a recommendation. That’s when you have to play tech support, unfortunately. This is also where an online review management solution can come in handy. All the tech support is taken care of for you because instructions are all included in the message that is sent out. If the call goes well then you’ll win some major customer service points with this call and likely get a recommendation out of it too. If people come to your shop to buy something then likely you’ll have to request recommendations in person. Be sure everyone on the front line with customers is also letting people know that you’d appreciate a recommendation on Nextdoor. Thank you for visiting us today, we really appreciate it! If you have a minute we’d really appreciate if you’d recommend us on Nextdoor. It’s short and sweet and is easy for you and every employee to do. You could print up a short reminder that’s behind the cash register. Cards with your printed recommendation URL is also helpful for the customer who otherwise may have no idea how to find you on Nextdoor. Does Nextdoor Have Bad Recommendations? Recommendations on Nextdoor are all about being positive. So, the short answer is no. There are not bad recommendations on Nextdoor. It’s not about reviews and ratings and such like other review sites. Nextdoor is a neighborly social media platform which means not being mean to local businesses. But people can still be mean to local businesses, unfortunately. Recommendations are meant to show that someone vouches for a business. They’re not to rate a business or tell how the service was. People can talk badly about your business on Nextdoor including on your business page. Every business page has a comments section where people can talk as nasty as they’d like about your business. Neighbors are even able to hide their comments from the business owner so you may never know the bad is happening. It’s also possible for neighbors to reply to other’s recommendations with their bad comments. From what I’ve seen it’s not as common for negative comments on Nextdoor but I have seen it happen. With good customer service then the bad comments should never happen. Just remember, the customer is always right, sort of. Just be nice about it and accommodating if they’re not and you should be good. No matter where your business gets reviews or recommendations online you can’t argue with their importance. Reviews/recommendations are the #1 type of social proof you can get for your business online. That’s why I wrote about the importance of reviews for your business. I even did a little internal testing at my house for how people search for a business online. Reviews proved to play a huge part of consumers finding a local business. If you aren’t getting a healthy mix of reviews and recommendations from various review sites online then you’re losing a lot of business. Every person you work with is an opportunity to get more reviews in order to turn them into more business. When you work with more than 5 people a month it might make sense to simplify the process of asking for reviews with an online review management solution. If you’d like to get feedback and not just reviews then it will definitely benefit you. If you’d like to discuss your online growth goals and strategy with a digital marketing professional then be sure to book a free consultation. As a Nextdoor member for over a year, I take Nextdoor recommendations with a grain of salt, and not too seriously. For my projects, I prefer totally independent research. Nextdoor is like a high school echo chamber that suppresses free speech and has fantasy ideas (which endanger their safety) about what is truly private. Yes, if we run across a really bad company, we will share the details. I think you’re right that you have to take Nextdoor reviews with a grain of salt. That does go for any reviews anywhere though. They’re actually the best thing there is right now. Think about all the other types of social proof out there. Reviews are the absolute most trustworthy form IF you do the proper research and of course take it in as a whole rather than look at isolated reviews.